The International Cycling Union (UCI) has released the list of 35 registered women’s teams for 2012, which is an increase of seven on last year. Despite the loss of a number of established squads, including the high-profile Garmin-Cervélo team, the creation of several new ones – including Rabobank, GreenEDGE and Faren Honda – means that “women’s cycling is growing significantly”, according to the UCI. In order to facilitate the invitation of teams to participate in UCI World Cup and class WE 1 races [one-day races ranked 1.1, and stage races ranked 2.1 – ed], the UCI has created what it calls a “fictitious ranking”. The accumulated points of each team’s best four riders have been added together to sort the list of teams – and nations – into order. Since it takes into account the actual points of all 440 registered riders, the ranking is not “fictitious” at all however, but is a true reflection of each team’s sporting value; much the same as the one used in allocating the places in the men’s WorldTour. World Cup races must invite the top 15 teams and the top five nations, while class 1 events must invite the top ten teams and top five nations. Unsurprisingly, since it contains the undisputed World number one in Marianne Vos, and the World Cup winner in Annemiek van Vleuten, the Rabobank team [registered as Stichting Rabo Women – ed] is the number one team, dwarfing all of the others with a total of 2,940.34 points. Next in the list – again, hardly surprisingly since it is made up of most of the 2011 HTC-Highroad team – is the new Specialized-lululemon squad, with 1,700.34. 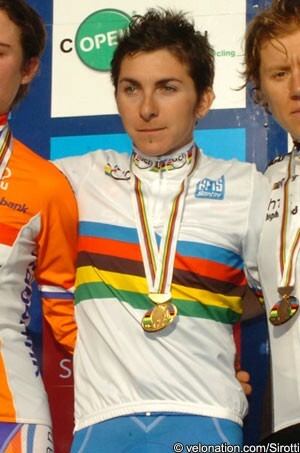 The team would have been a little closer to Rabobank, as it was to Vos and van Vleuten’s former Nederland Bloiet team at the end of 2011, but has lost the services of World time trial champion Judith Arndt. Since it contains six of the 2011 Garmin-Cervélo team, as well as hanging on to Dutch powerhouse Kirsten Wild, the AA Drink-Leontien.nl team has been elevated to third; GreenEDGE-AIS, Judith Arndt’s destination, enters its first season in the peloton in fourth place, little more than a single point behind. Rounding out the top five is the Hitec Products-Mistral Home team of World number two Emma Johansson. The Diadora-Pasta Zara team of World champion Giorgia Bronzini is ranked in sixth place, assuring the Piacenzan a guaranteed invitation to the World’s top events. The women’s season will consist of 79 UCI-registered races, on all five continents, starting on February 1st with the three-day Tour of Qatar. With 2012 being an Olympic year, the nine events of the World Cup have been shuffled a little; the season-long competition will start on March 10th with the Ronde van Drenthe, which is a month earlier than usual.